Earlier this month I went to the Michigan Reading Association (MRA) Annual Conference. The line-up of speakers was incredible. I left bursting with inspiration in all areas of literacy, writing, and learning. I have mulled over this question. I have gone back to my notes, and I recently began reading Keene’s book to dig into this more. I think this is a question we should be asking ourselves over and over. In the writing workshop, how do we discern engagement from looking engaged? 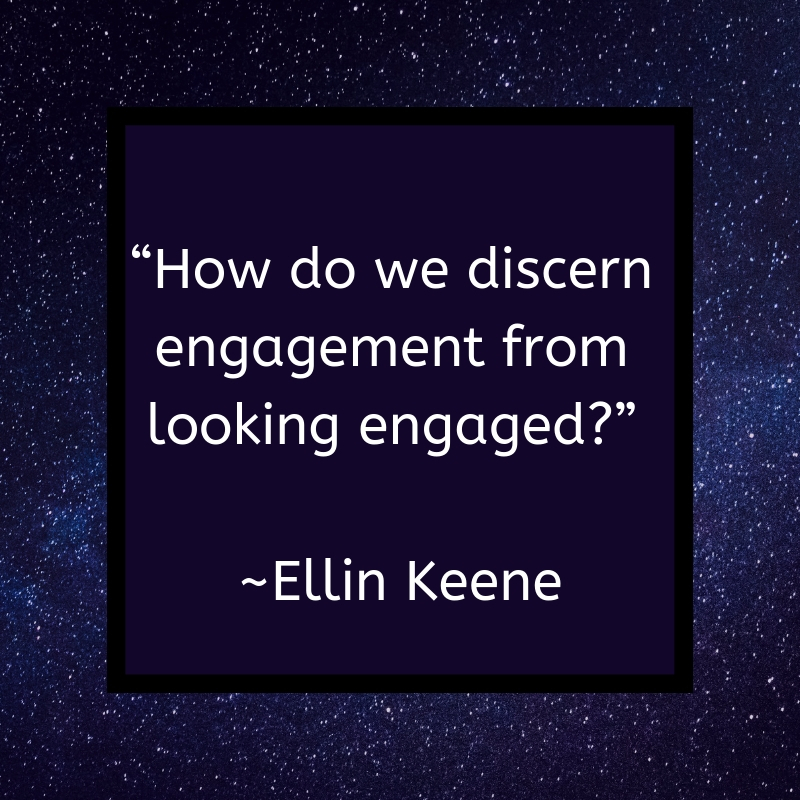 In the minilesson, how do we discern engagement? During the active engagement, how do we know engagement is happening? Could it be compliance? While students take on independent work as writers, what evidence do we use to measure engagement? Since attending this session, I have had about three weeks of teaching to really think about these questions and here is what I’ve learned. In my minilessons, I have to talk less. Even if it’s only seven minutes. I need kids involved, and more collaboration wrapped into the crevices when possible. When my voice matters less, I need to get out of the way and let their voices lead. My proximity matters. Currently, my document camera is too far away from my students, and I need to get into the space the thinking is happening–not above it. As students practice in front or share with partners, it’s essential for writers to name the work. I found some of my writers couldn’t always name what they were doing. Even when in the act of doing it! This was a bit shocking to me. I had students going through motions, it looked like engagement, but there was uncertainty, and this was informative to me as I decided what to do next. I found this to be true during our share time at the end of writing workshop as well. Writers were not necessarily able to look at the work and name the accomplishment. It made me wonder: Is this an issue with understanding, communication, clarity? It made me question their engagement before, during and after the writing. Each writer enters their work from an angled lens all their own. It’s part of my job to look through that lens with them and help them see their potential. Some days yield more than others, and Keene would argue that student engagement is not motivation or participation. She would say, “It is a generous kind of attention that captures us mind, heart, body, and soul.” I can’t think of a better representation of mind, heart, body, and soul than an eager writer. Independent writing engagement seems like a bit of a shapeshifter to me-one moment thinker and another moment word gatherer. I hope to continue to mull over these questions. I hope to get closer to deep understandings of what engagement truly is. I sometimes wonder if I want to achieve student engagement so much that I fool myself into thinking I’ve achieved it when potentially it is under the cape of compliance, routine, or participation. One might want to argue these somehow inform engagement, but consider–when was the last time you were truly engaged in something. How do you know? Very good discussion. Sobering truth. This was a thought provoking topic for me as I’ve been reflecting on the work my building has done with writing. The piece that stuck out to me the most was having students name the work their producing. I’m planning on sharing some of the questions you asked yourself with my team as we continue to inform our practices surrounding writing instruction. Thank you for sharing! 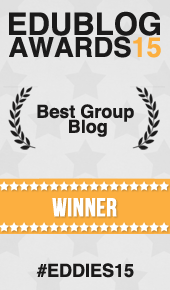 Hi I really liked this article and your blog. I am wondering what advice you have for Special Education Teaching if English. I am interested in this group because I find that there is a bigger hurdle given the difference accommodation and at the high school level I see that emotional issues interfere with engagement and students have various reading and writing ability coupled with fears or seem to resist the writing process even more. What do you suggest given the workshop. I’m working on my English and Spe Ed credential and this will help me. I already wholeheartedly believe in the idea of mind body spirit connected. Interesting question. I don’t think this is an either/or situation. What if engagement has compliance, participation, and routine as friends? They support and surround engagement and make it possible. What I hope for is going beyond compliance or routine or participation into engagement. I’m also wondering about the energy it takes to be fully engaged? Is it sustainable? Or is it more like “flow” which feels effortless? The cape of compliance-that phrase really made me sit up and pay attention. I’m going to spend some time thinking about this question of engagement. Great thanks so much ladies.